There’s nothing like fresh produce straight from the farm. Green markets are popping up all over the country to meet growing demand for high quality food. But if you don’t have the time or the patience, you certainly have options. FreshDirect is one of the largest online grocers that’s been clicking with consumers seeking quality. Grocery delivery services aren’t new; they’ve existed as long as the stores themselves. While overall grocery store sales in the U.S. fell 2.1% last year, online grocer sales jumped over 8%, according to IBISWorld. Further, they estimate online sales to grow 9.5% annually into a $9.4 billion industry by 2017. The largest is Peapod, a service that delivers goods specifically from grocery store chains Stop & Shop and Giant Foods. The company started in Illinois in 1989 and now covers 24 markets in 13 states. 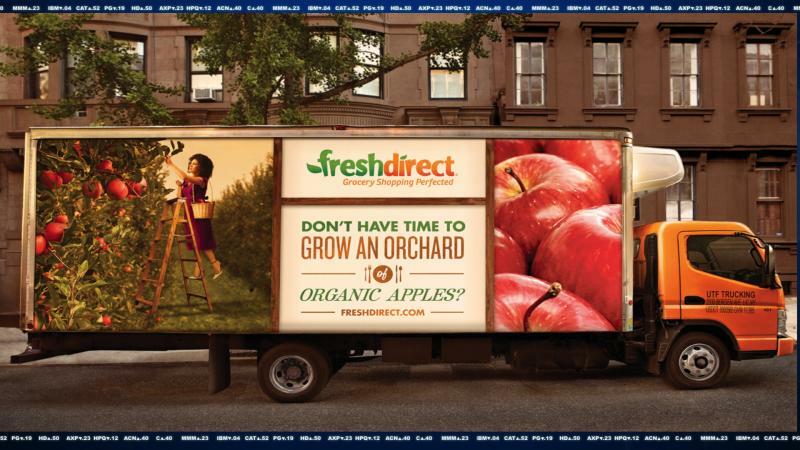 FreshDirect is the new kid on the block, started in New York in 2002. Breakout sat down with the co-founders, Jason Ackerman and David McInerney, to digest exactly what sets FreshDirect apart. The company travels around the globe looking for the freshest meat, seafood, and produce. Unlike competitor Peapod, they’re not tied to any specific grocer. They believe this enables the service to be faster and fresher. But the company is facing growing pains. A coalition of South Bronx residents filed a lawsuit to block FreshDirect’s move into the borough citing environmental impact. The online grocer is standing by its plan for a green transition, and despite the legal battle, says they will relocate by the end of 2015. Aside from creating jobs in SoBro, they believe their customers will be buying up what they’ll be growing there in the new greenhouse. Of course, price is key in this competitive marketplace. Consumers have held tighter purse strings since the Great Recession - a challenge that has slowed the broader retail industry across the globe. It’s all about having access to a variety of options. Right now, FreshDirect’s market covers New York City, Philadelphia and their surrounding suburbs. They intend to expand into the largest fifteen U.S. markets. “We’ve been in New York for eleven years, just one city trying to deeply understand the consumer,” says Ackerman. The focus on quality is working for New York competitor Fairway market (FWM) - a brick and mortar grocer that stresses high quality organic foods. The company went public last week and shares soared over 30-percent during the first day of trading. It's a move FreshDirect could make itself one day. Selling food is a low margin business, but FreshDirect believes their customers will keep buying what they’re selling. Only time will tell if this New York City favorite can find success in cities and suburbs from coast to coast.